That’s such a great fun idea! I made a Valentine gift bag for a friend and took it to her Subway. Today I paid a few overdue snack IOU’s of coworkers from our departments snack cabinet. 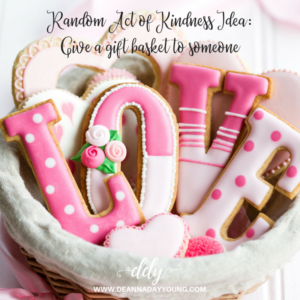 You’re days of kindness are making me think how I can make a persons day better, brighter with just a thoughtful gesture. This just makes my day and warms my heart!! Thank you for sharing! !